Този продукт не се продава индивидуално. Трябва да изберете поне 1 количество от този продукт. with Traxxas Stability Management and On-Board Audio! The Traxxas Slash VXL puts you in the driver’s seat for intense fender-to-fender, high-flying off-road action. New On-Board Audio adds amazing realism with the sound and fury of a 900 horsepower Traxxas team truck. The low-CG chassis and Traxxas Stability Management® put Slash VXL’s tire-shredding power to the ground while making it incredibly agile and easily controllable. Extreme Velineon brushless power provides screaming 60+mph† speed while the advanced TQi™ radio system keeps everything under precise control. Drive one today and discover why Slash has become the benchmark for durability, performance, and technology. 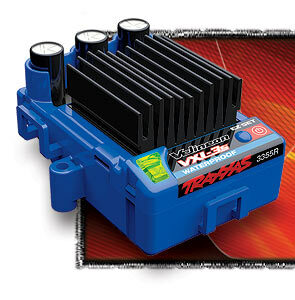 The Traxxas Velineon Brushless Power system defines a whole new generation of outrageous electric power. Pour in the voltage and out comes the speed in tidal waves of force harnessed by precise throttle control. The Velineon 3s components work together as an optimized package, from the patented Traxxas High-Current connector to the custom-wound motor. It delivers the ultimate in efficiency, speed, and run-time along with refined control. It's brushless performance the Traxxas way: wicked fast and easy to use. Just plug it in and it works, no special knowledge or programming skills required! Slash VXL lets you choose the performance you want! 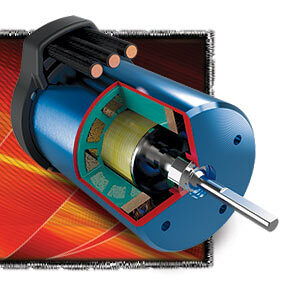 Larger pinion gear/smaller spur gear combinations are for high-speed running on hard, smooth surfaces only. Choose your charging option with Slash VXL! See the complete lineup of Traxxas iD batteries and chargers available for this model. Traxxas backs the Slash VXL and all of our products with top-notch support that is second to none. A staff of skilled representatives is on-hand to answer your questions via phone, website, or email. Unmatched parts support allows Slash VXL to be serviced with parts and support from thousands of hobby dealers worldwide. Your investment is also protected by the Traxxas Lifetime Electronics Warranty. Traxxas goes the extra mile to ensure that your R/C experience is easy and fun (and fast!). Follow the details link on the left to go in depth on all the Slash VXL performance benefits, and also be sure to check out the videos page to see Slash VXL in action for yourself. **Battery expansion kit available (#5827X). 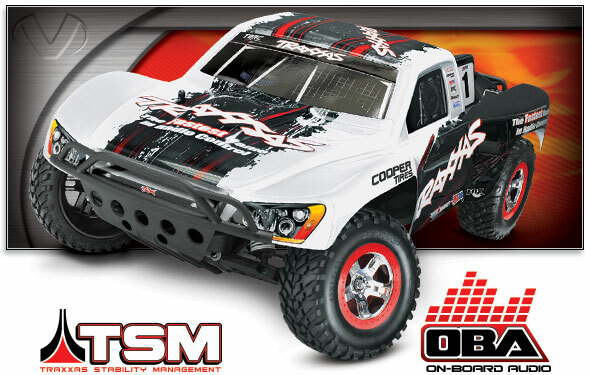 MODEL 58076-24: Fully assembled, Ready-To-Race®, with Traxxas Stability Management®, Traxxas On-Board Audio System, TQi™ 2.4GHz radio system, Velineon® Brushless Power System, and Race Replica painted body.